Canadian indie electronic duo HUMANS has released their brand new album, ‘Going Late’ on 16th November via Haven Sounds. The pair have already shared three singles from this, their fourth full-length album, all of which were met with great acclaim, as well as two exceptional music videos for their singles ‘Going Late’ and ‘Breakfast With Liz’, the video of the latter having already won an award for Best Music Video at the Leo Awards 2018. ‘Still About You’, the first single from the upcoming album, has been met with an overwhelming response, receiving extensive radio support, and is currently the #5 track on CBC Radio 3. HUMANS has garnered support from publications such as The Fader, Pigeons and Planes, Interview Magazine, Noisey, COMPLEX, CLASH Magazine, Resident Advisor, XLR8R, Earmilk, Magnetic Mag, Nest HQ to name but a few, as well as Beats 1’s Zane Lowe. The pair has also been dominating the live music scene, with appearances at acclaimed festivals including SXSW, Coachella, The Great Escape, CMJ, Mad Decent Block Party, Beach Goth Festival as well as touring with big names Flight Facilities, RÜFÜS DU SOL, Sleepy Tom, Sweater Beats, Young Empires and many more. The new LP was made with the help of Nik Kozub and features Grammy-winning producer Carlos De La Garza on album track ‘Still About You’ as well as So Loki for vocals on the track ‘RUN’. HUMANS’ “Going Late” LP is a triumph in versatility and innovation; the duo manages to flawlessly blend elements of seemingly contrasting genres, creating their own unique brand of electronic music with each track without fail. HUMANS bring forward undeniably funky disco elements often paired with sultry vocals in tracks ‘Felony’, ‘Noose’ and ‘Going Late’, showcasing their ability to pay homage to classic retro tropes while keeping their sound contemporary and fresh. It’s also a welcome surprise to hear dark rave-inspired beats come through on tracks like ‘RUN (ft. So Loki)’, ‘Birthday Jam’ and ‘Water Water’, which could fill any dance-floor while still maintaining an indie edge. 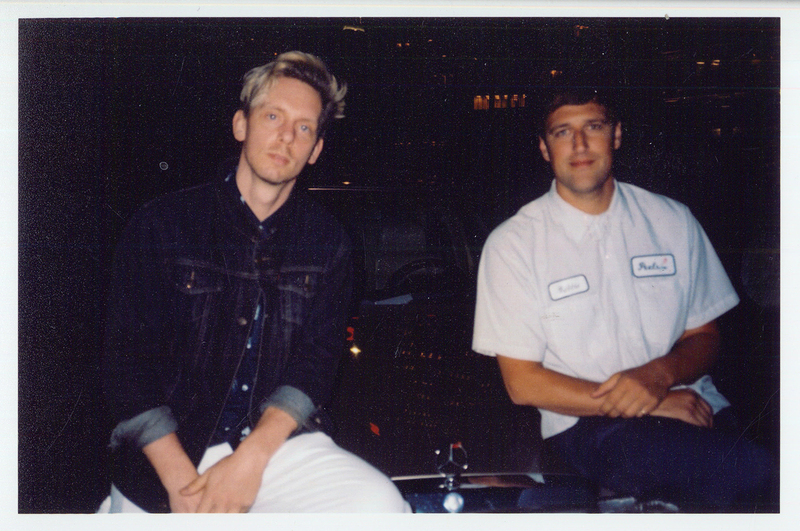 HUMANS’ production is filled with quirk and innovation; from the 90’s R&B-style vocals in ‘Blinds’, to ‘Still About You’s indie-pop-infused refrain, and the polyrhythms and eclectic drum sample sounds the duo use to build their beats, HUMANS have found a way to take an array of scintillating elements, recreate them and forge them into their signature minimalist style. Made up of Vancouver locals Robbie Slade and Peter Ricq, their second LP, ‘Noontide’, landed HUMANS a Juno nomination for 2015’s Electronic Album of the Year. On top of their EP and LP releases, HUMANS have also produced and released the musical score for Peter Ricq’s 2017 theatrical motion picture ‘Dead Shack’, which premiered at Sitges, NIFFF, Fantasia, VIFF and Morbido Film Fest, to name a few. HUMANS takes inspiration from a variety of sources, citing influences such as Fleetwood Mac, Marvin Gaye, Young Fathers, Detroit Swindle, Mall Grab, Abjo, LA Priest, Soft Hair, Mount Kimbie, Animal Collective, Ty Segall and Steve Lacy. HUMANS’ own sound could best be compared directly to indie electronic giants RÜFÜS DU SOL, Amtrac and Bob Moses, as well as Maribou State’s chilled but danceable sounds.